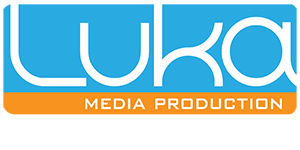 Jay Luka is a highly motivated, talented, and goal-oriented video Producer with over 20 years experience in the video production industry. Jay attended Ohio University in Athens, Ohio concentrating on Fine Arts. His innate love for art and technology led him to study telecommunications and he earned his Bachelor of Science in Communication in 1996. His career in broadcasting began as a designer and video editor, creating and editing numerous TV commercials, independent films, and other non-broadcast projects for an organization based in Ohio and South Carolina. Throughout his career, Jay has managed, directed, edited, and created various custom video and media projects for a wide variety of clients. Recent projects have included educational and marketing videos, recording social events and meetings for attorneys and doctors, hospital executives, and private practice administrators. Jay is an exceptional “out-of-the-box” thinker and problem-solver with outstanding technical and troubleshooting skills. His artistic skills and proficiency in technology allows him to master concepting, script writing, storyboarding, shooting, lighting, audio, and directing. He is also fluent in various video editing and production software. 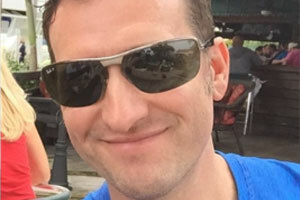 Jay has cultivated positive relationships with clients and coworkers attributing to his expertise in artfully crafting the video projects with very little direction from clients. One of the most enjoyable areas of Jay’s job is working with clients. He claims video shoots are fun because he gets to work with everyone from experienced video professionals to regular people excited to be making video for the first time. While Jay is a talented video editor and producer in all stages of the production process, the post-production process is where he is truly creative and unique, employing his strongest skills and talents. Jay enjoys his work. He also enjoys traveling, live music, cooking, snowboarding, boating, and being on the water. He especially loves spending time with his family. Tish’s first love is as designer with a degree in Visual Communication Design, she has more than 10 years of sales experience in the marketing arena. 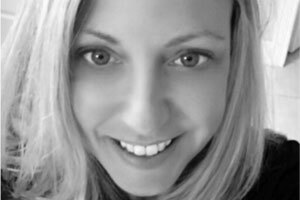 Tish is an expert at her specialty and applying the strong knowledge of sales to the business and marketing world. She also serves as co-owner of Luka Media Production where she produces and designs video segments for small businesses. Tish Luka is the owner of Brand and Flourish. BrandandFlourish.com, a vintage style Website and marketing boutique. She comes equipped with more than 12 years of sales and marketing experience both in the corporate world and small business arena. Tish currently works from her home office in Jupiter Florida where she serves clients, consults, writes, edits, designs newsletters and Web sites. She has a strong knowledge of Social Media and continues her training daily. She is a mother of two small children and enjoys interior design as a hobby.